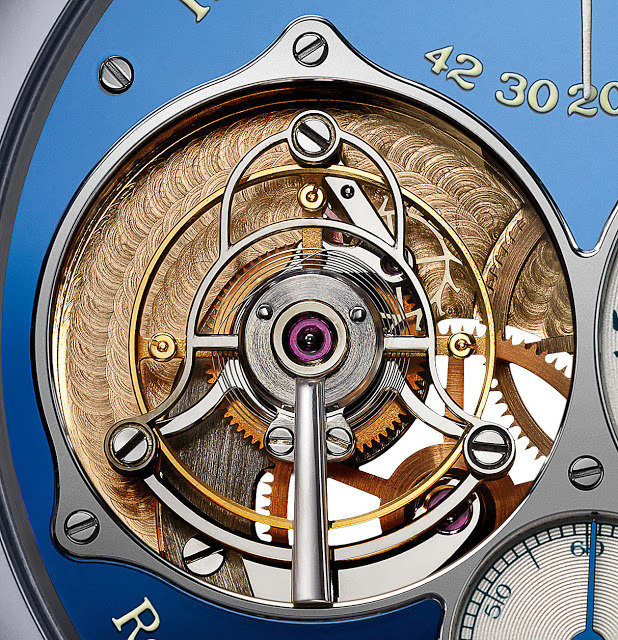 Tantalum is the case metal of choice in the Tourbillon Souverain Bleu, featuring a reflective blue dial, resulting in an notably unique edition by F.P. Journe for Only Watch 2015. F.P. 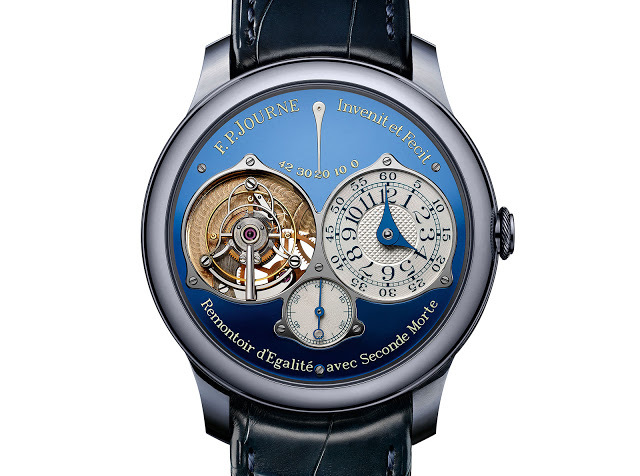 Journe turned to the most basic of his timepieces, the Chronometre Bleu, for inspiration for the unique tourbillon created for Only Watch 2015. 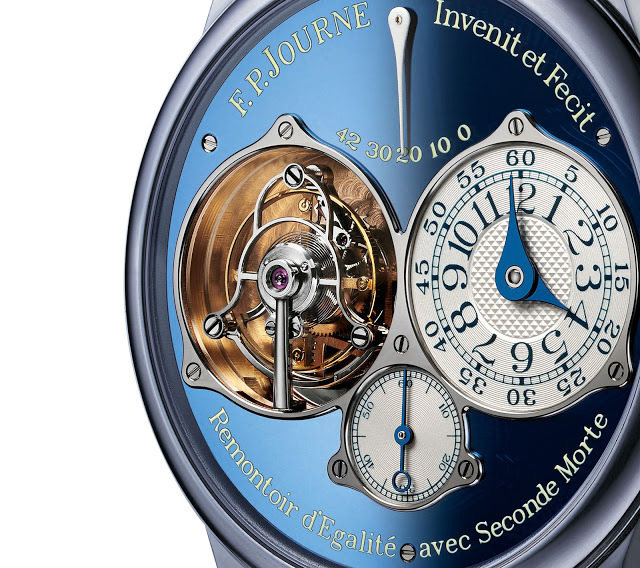 The Tourbillon Souverain Bleu has a tantalum case and a vivid blue mirror-finished dial, just like the Chronometre Bleu, which is the beloved timepiece that’s the most affordable in the F.P. Journe collection. Despite the entry-level inspiration, the result is stunning. The Tourbillon Souverain Bleu has a 40mm case is made of tantalum, a dense bluish-grey metal sometimes used to tip armour-piercing shells because of its hardness and high melting point. Despite being single colour, the dial is complex, requiring several layers of lacquer to achieve the brilliant blue dial that has a shiny and slightly metallic surface. Like on the Chronometre Bleu dial, the lettering is in an off-white lacquer. Notably this is the second recent limited edition from F.P. Journe related to the Chronometre Bleu, the other being the Chronometre Bleu Byblos. 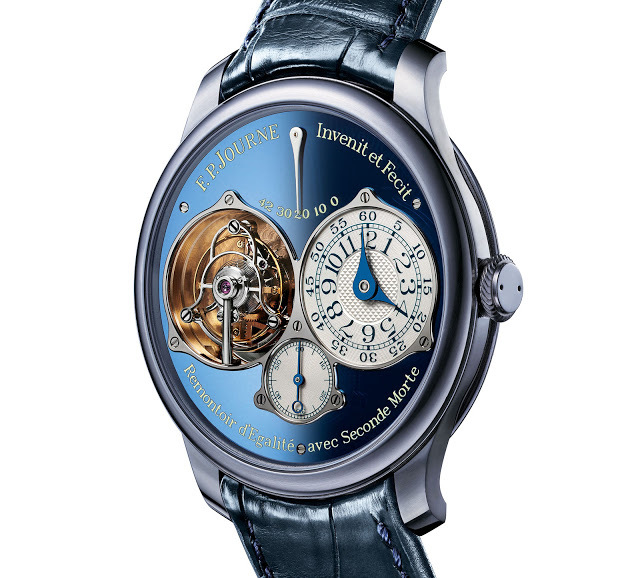 Mechanically the Tourbillon Souverain Bleu is identical to the regular production model, equipped with the calibre 1403 that features a tourbillon regulator with constant force mechanism and deadbeat seconds. And like all F.P. Journe watches this has a movement with the base plate and bridges in solid 18k red gold. With the US$770,000 price achieved for another one of a kind F.P. Journe tourbillon achieved in May 2015, this is expected to sell for a similar hefty sum. Only Watch will take place on November 7, 2015 in Geneva, with all proceeds from the sale to raise funds for research into Duchenne muscular dystrophy.